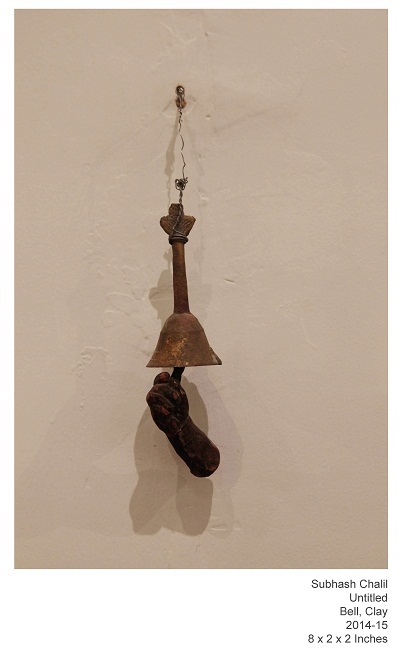 The recently-opened Sakshi Salon, that aims to promote contemporary and experimental art practices, has on display recent works by two Baroda-based artists attempting to push boundaries. Through their artworks – using objects like T-shirts, fans, coconut shells and more – both Lakshman Rao Kotturu and Subhash Chalil illustrate their world-views, each one as creative as the other. Chalil reimagines our constantly changing landscapes, and Kotturu lets his imagination run wild, playing with the commonplace and inventing new ways to look at them. 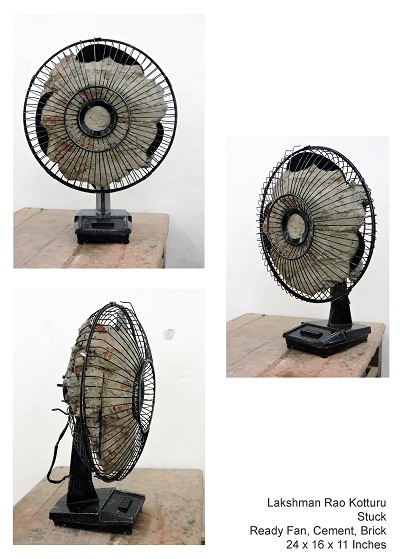 Lakshman Rao Kotturu’s art practice reinvents regular objects as he plays with their physical and conceptual aspects. 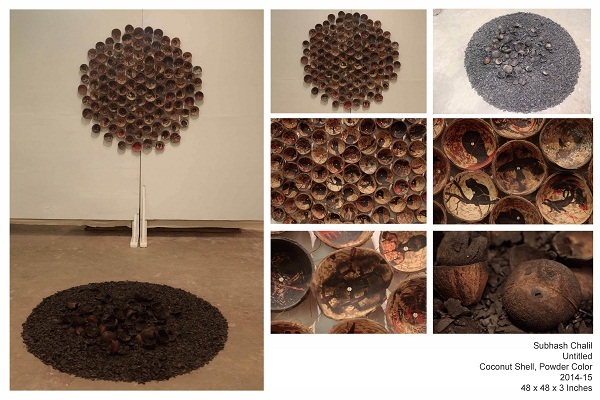 The Baroda-based creator has participated in several artist camps and recently won the Chandra Ilango Art Foundation Jury Award 2015. Subhash Chalil The 25-year-old artist uses motifs to illustrate his views on cosmopolitan society. 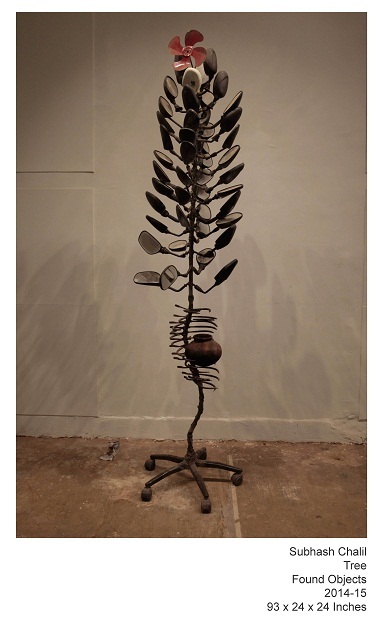 Chalil has completed a Master of Visual Arts degree with a specialisation in sculpture, and was a recipient of the Kerala Lalit Kala Akademi student’s scholarship 2013-15. He lives and works in Baroda. 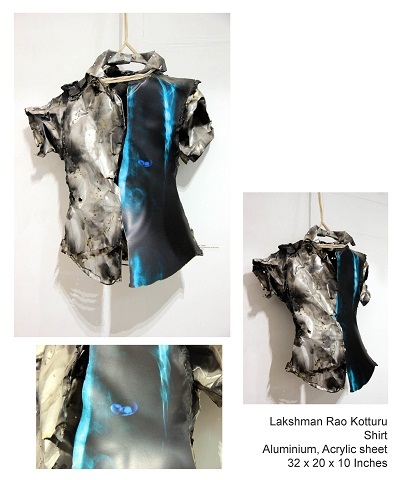 Recent works by Lakshman Rao Kotturu and Subhash Chalil is on display at Sakshi Salon, Mumbai (15 A, Deepvan Building, Khar Danda, 20th Road, Khar West ) until September 15, 2015.